4-2-3-1 Celtic Predicted Lineup Vs AEK Athens: Scott Sinclair To Start For Rodgers’ Side? Celtic would play hosts to AEK Athens at Celtic Park tomorrow as they look to earn a positive result in the first leg of their crucial UEFA Champions League third-round qualifier. The Hoops made a great start to their league campaign by securing a comfortable victory at home against Livingston, courtesy goals from Tom Rogic, Odsonne Edouard and a successful penalty from Olivier Ntcham. Brendan Rodgers would be hoping that his side can replicate a similar kind of display versus their Greek opponents in midweek so that the Bhoys can take one step closer towards earning a place in the Champions League group stage draw which is set to take place later this month. The Glaswegian heavyweights have already managed to brush off Alashkert in the first qualifying round with a whopping 6-0 aggregate scoreline and Rosenborg in the last round with a more humble 3-1 aggregate score to set up this clash against Marinos Ouzounidis’ team. This is the first time in history that Celtic are tied against AEK Athens in European competitions, and Rodgers would be hoping that his players don’t get complacent on Wednesday night as this fixture could potentially make or break Celtic’s season. It is expected that the Hoops manager will keep changes to a minimum and opt for his favoured 4-2-3-1 formation for this European clash. However, the Bhoys are sweating over the fitness of Olivier Ntcham who is a significant doubt for the game. Craig Gordon should start in between the sticks for the home team, and he would be shielded by the centre-half pairing of Jozo Simunovic and Kristoffer Ajer. Callum McGregor operates as the left-back, and Mikael Lustig starts on the right side of the backline. Brendan Rodgers is expected to stick with the same defensive line that conceded just one goal at Celtic Park against Livingston in their last league encounter. The Hoops defence has kept three clean sheets in five matches so far this season, and the Celtic defenders would be confident about putting on another stellar show at the back versus their Greek opponents tomorrow night. With Ntcham a major doubt for the game, the midfield pair of Scott Brown and Eboue Kouassi could be deployed in the middle of the park as the holding midfielders. The trio of Jonny Hayes, Tomas Rogic and Scott Sinclair might be asked to play ahead of them as they look to link up and create some chances in the opposition half. The Australian youngster, Rogic got his name on the scoresheet in his last outing at Celtic Park and would hope to do the same against Ouzounidis’ side in midweek. Odsonne Edouard is expected to lead the lines for the Glaswegian giants up top in the absence of the injured Moussa Dembele. He found the back of the net versus Livingston this weekend, which should give the French ace some confidence to showcase his goal-scoring prowess once again. The 20-year-old has featured in all five of Celtic’s matches this season, scoring four goals while providing one assist in all competitions. Hence, the Hoops faithful will keep their fingers crossed that Edouard can add to his goal tally and get the job done against the Greek giants at Parkhead. Crystal Palace Targeting This Bosnian Defensive Rock: Just What De Boer Needs? Could Gerrard’s Rangers Be The Mystery Club Currently In Advanced Talks With This Greek Defender? Why Gerrard Should Reignite Interest In This Greek Defender To Solve Rangers’ Problems? 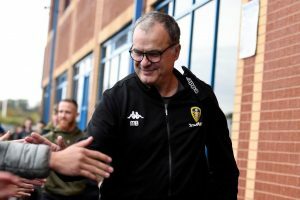 Leeds United Send Scouts For This 21 Y/O Argentine Forward: Should Bielsa Consider Signing Him?